We were all waiting for this big event, and I was the first in line to know what's going on, and what kind of a surprise apple is hiding for us this time. Well, no need to wait for more. 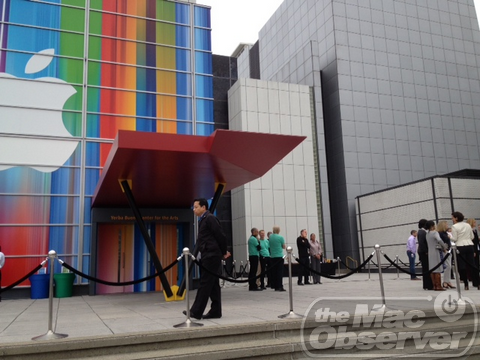 Here are all the surprises apple grant us today !. 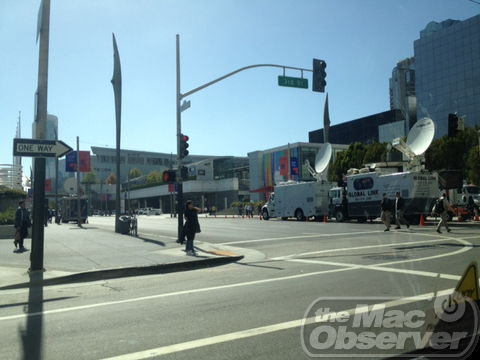 The event started at 08:00 PM Kuwait Time in Yerba Buena Gardens. Now after the event has started, Tim Cook took the stage wearing the same cloths Steve Jobs used to wear "Black shirt with blue jeans," updating the crowd about Apple retial, the surprises, and the new stores around. They were showing a video of the Barcelona new Apple Store opening a while after ! 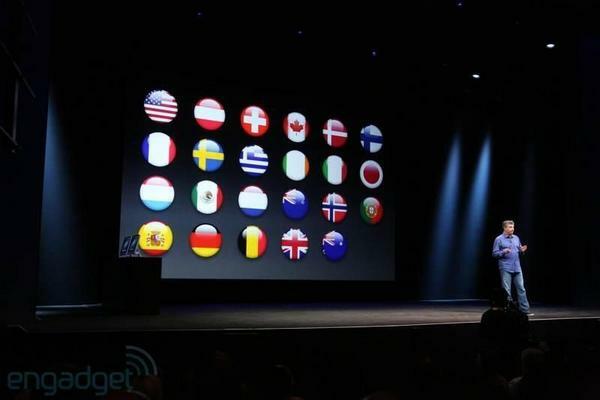 Apple has 380 stores, 12 countries around the world ! "Impressive indeed." They started talking about Mountain Lion. Customers downloaded 7 million copies of Mountain Lion, which makes Mountain Lion the fastest-selling Apple OS of all time, stating that the new MacBook Pro Retina is "The best MacBook we've ever made". 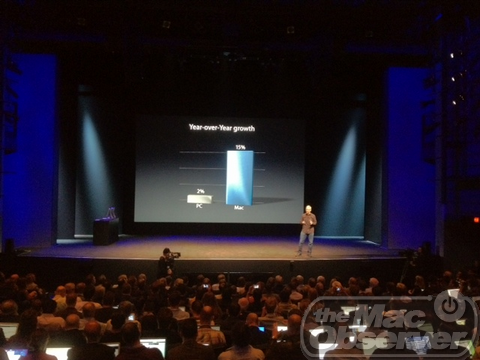 There was 5% Mac growth year-over-year, and the Mac has outpaced the growth of the PC for the last 6 years. 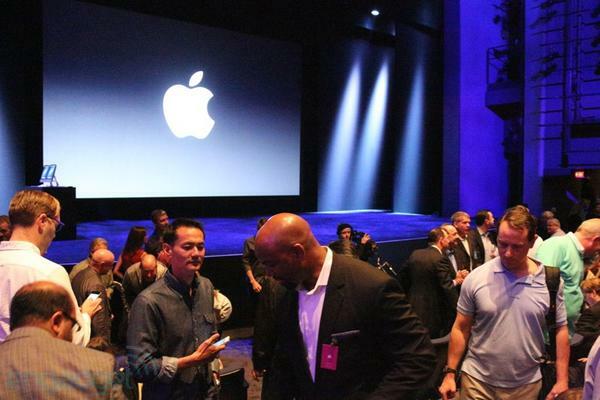 Afterwards, they were showing the iPad year over year growth. 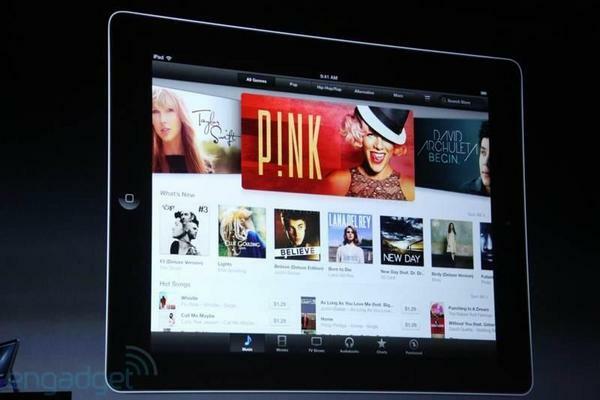 17 Million iPads sold April-Jun, and 84MM iPads sold through June, 2012. 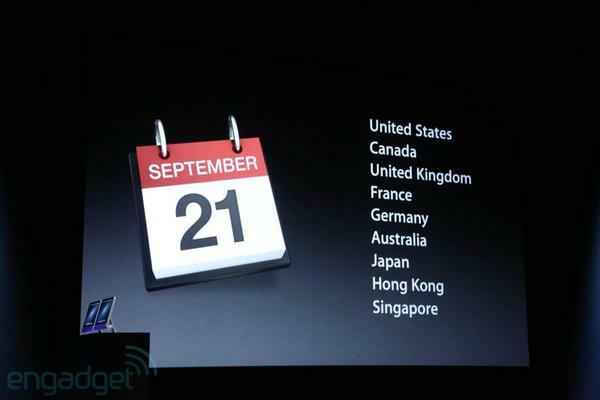 1 year go iPad had a 62% market share. Now, with "hundreds of new tablets" coming to market, iPad has 68% market share. "Apple must be very proud !" 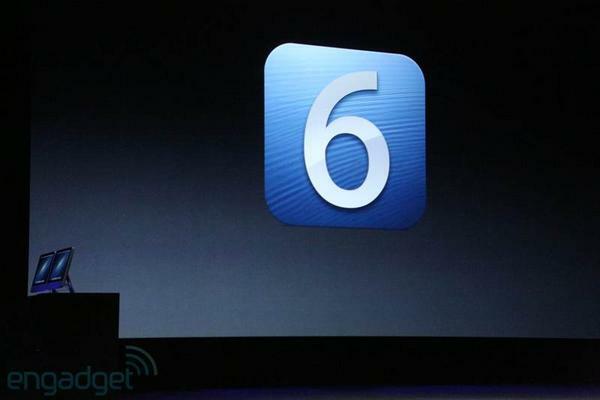 700,000 apps now in the App Store, 250,000 are built for iPad. 90% of all apps are downloaded every month. Average customer has more than 100 apps "I guess I have even more than that, which makes me an apple freak :p"
Phil Schiller took stage to talk iPhone ! 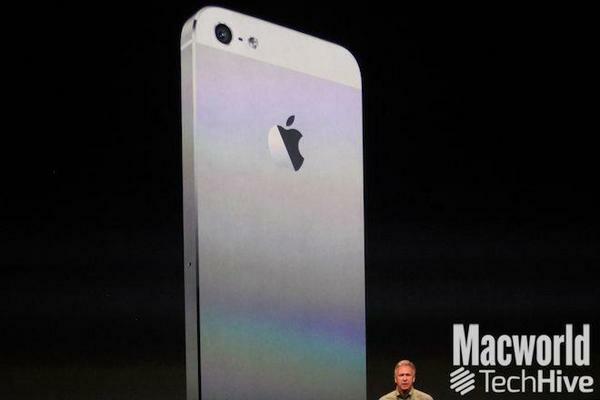 iPhone 5 made entirely of glass and aluminum. 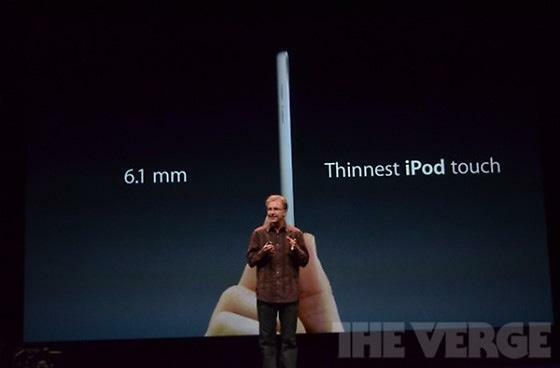 iPhone 5 is thinnest & lightest iPhone ever. 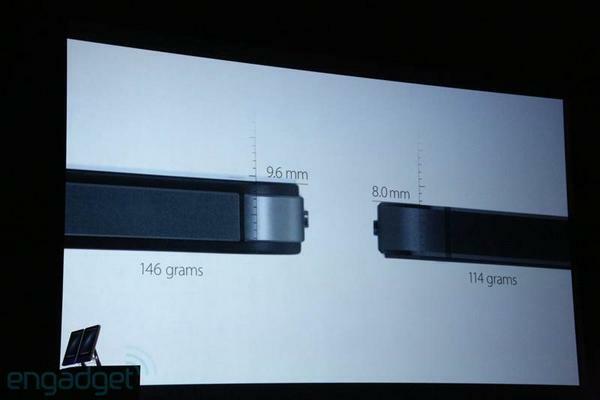 7.6mm thick, 18% thinner than 4S. Weighs 112 grabs. 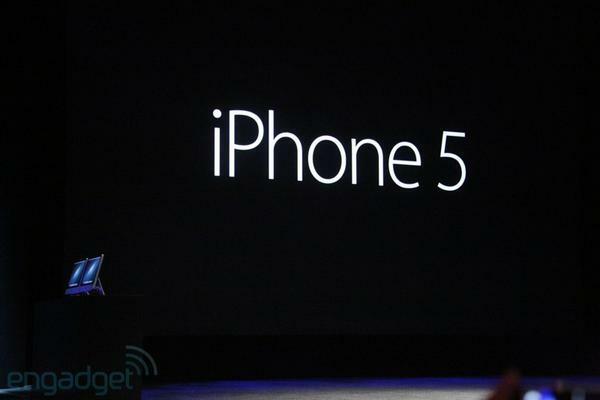 20% lighter than 4S. 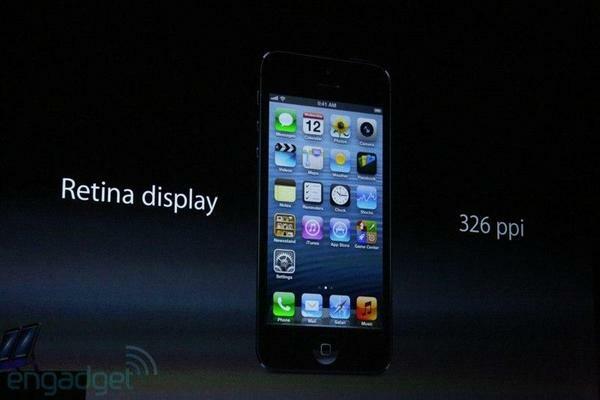 iPhone 5 has retina display, 4" display. 1137 tall by 640 px wide, 16x9 aspect ratio.5 rows of icons on home screen, web shows more content, more room in calendar. "This is a different thing all together !" Original apps get centered with black borders on top & bottom, full width. No stretching, no problem (according to Schiller, of course). 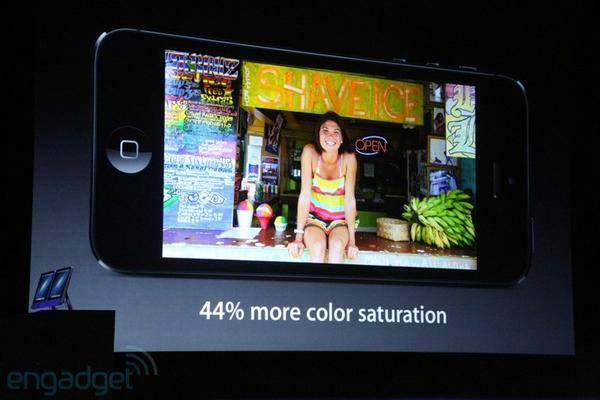 44% more color saturation, full sRGB specification. "Best display in the industry." 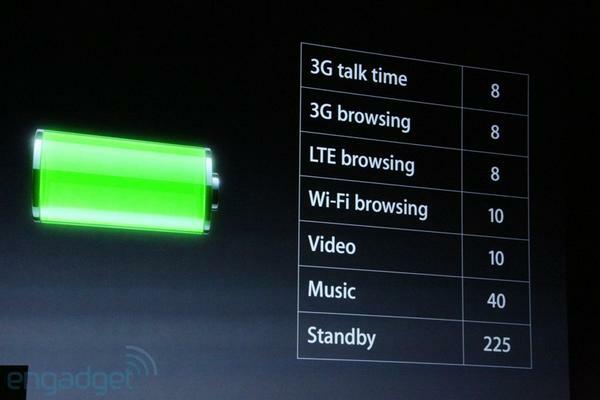 4G now with LTE. 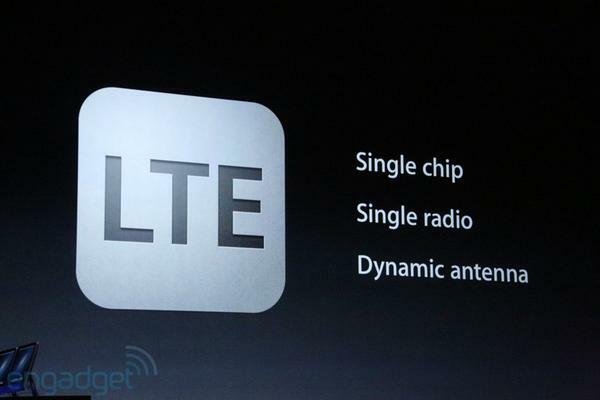 LTE on iPhone 5 in USA: AT&T, Verizon, Sprint. 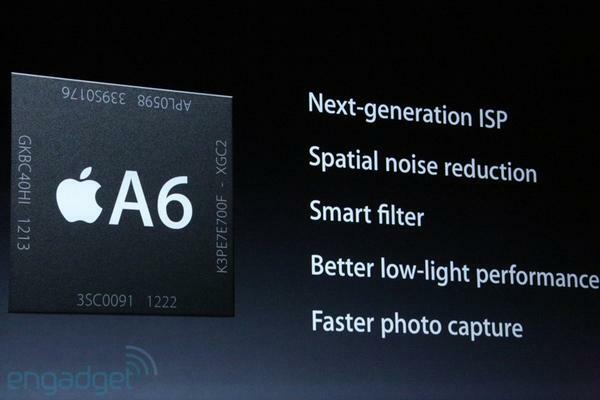 802.11 a/b/g/n, 2.4Ghz & 5GHz wireless. 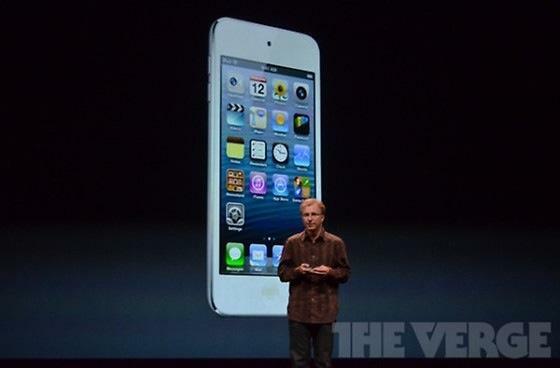 "We've updated every aspect of iPhone 5" he said ! Graphics in the below racing game look like a video. Really impressive! Reflections, scrolling, smooth. 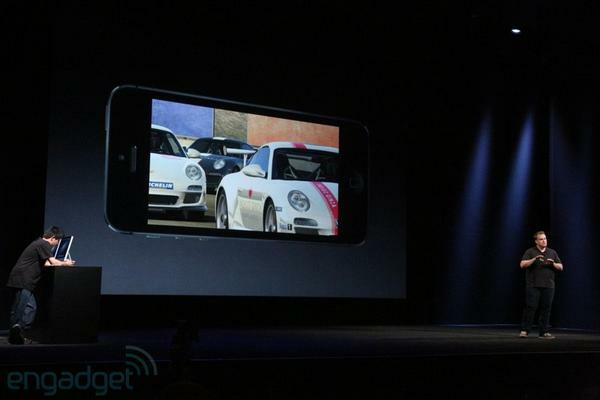 "Guys must be thrilled by now :p"
EA used Game Center for time-shifted multiplayer in Real Racing 3. Challenge today, your opponent can race against you tomorrow, "Real Racing 3 coming to the App store later this year." 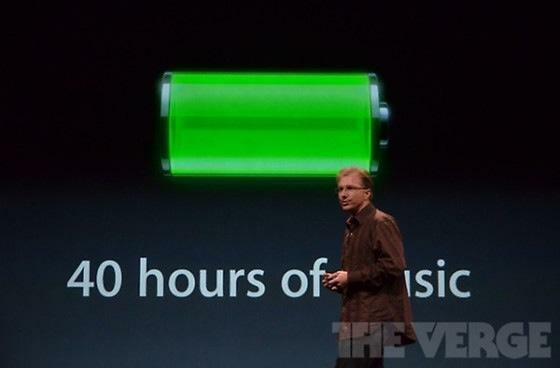 Battery life, better than 4S. "Thank goodness !" 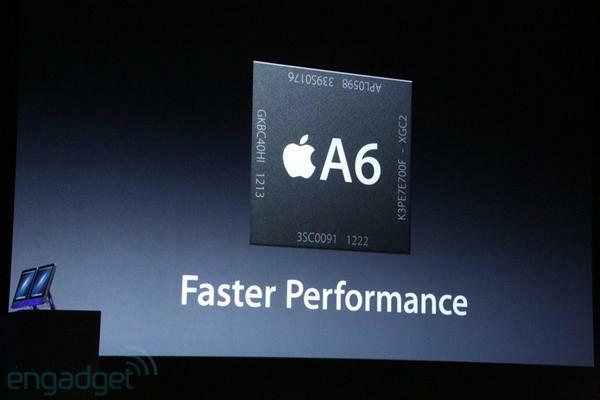 iPhone 5 performs faster than ever ! New camera is called "iSight", it's 8 megapixel sensor, 3264x2448, Backside illumination.... 22% smaller. "Finally !" 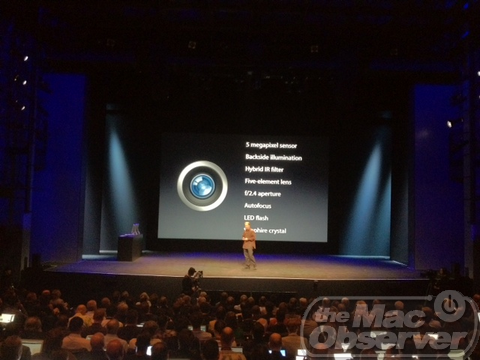 New camera now has dynamic low light mode, precision lens alignment, sapphire crystal lens cover "which makes it much harder to scratch." 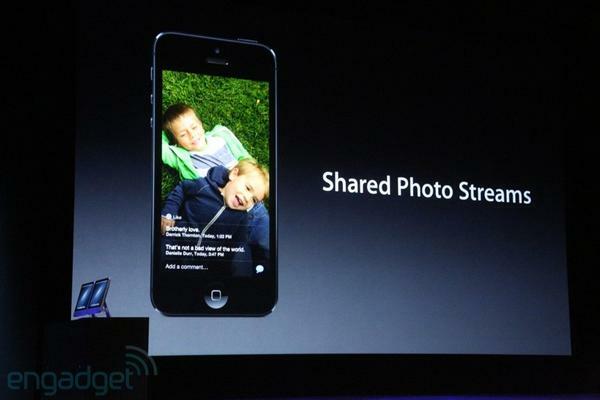 iOS 6 and iCloud has Shared Photo Streams so you can set up streams that friends and family can see. You can take still photos *while* recording video "Impressive !" 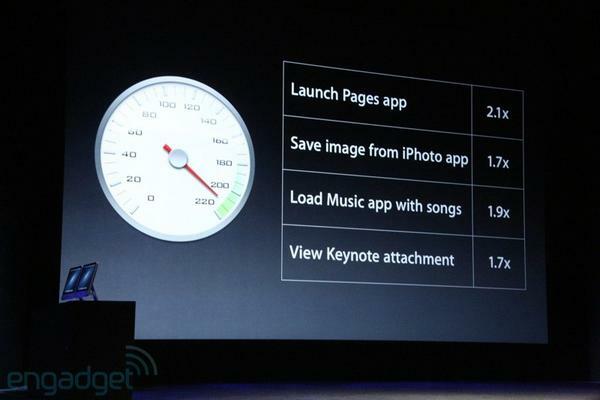 You can create multiple photo streams, assign contacts to them, they get a push notification with those photos. You/friends can comment, too. 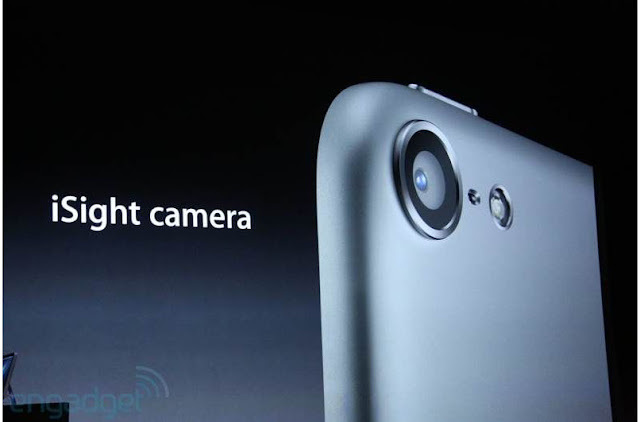 Front-facing camera is now 720p HD. "It's about time !" 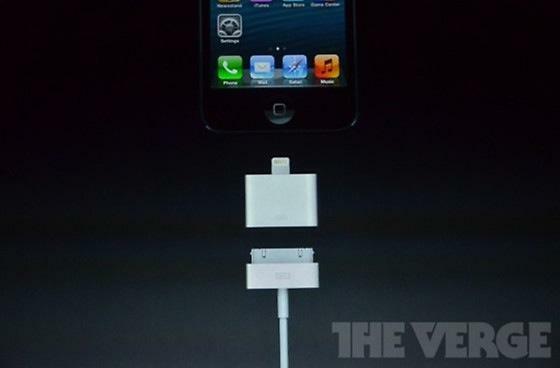 We're now talking connectors. The 30-pin connector "has served us well for over a decade," says Schiller. You can use those new accessories to be able to use the old ones. 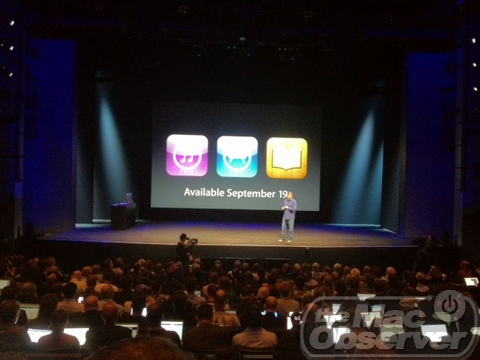 Quick mention of new notification center. Now, Safari. Arrows in bottom right now let you go "full screen mode" on iPhone like you can on OS X. There is a "VIP" Mail, app interface. Also, messages can be "Flagged" on iOS which then puts them in a "dynamic, flagged Mailbox"
As we heard at WWDC, Siri got enhancements. 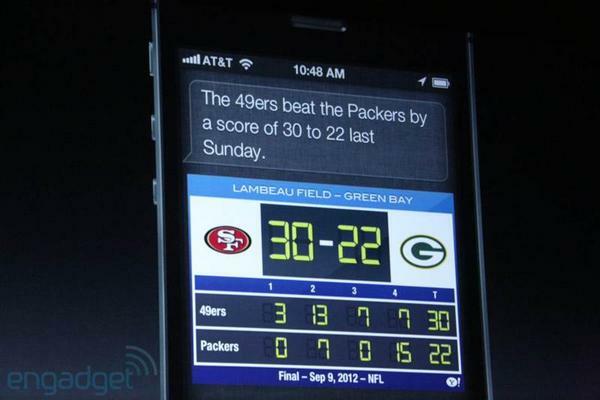 "Siri knows sports," says Forstall. 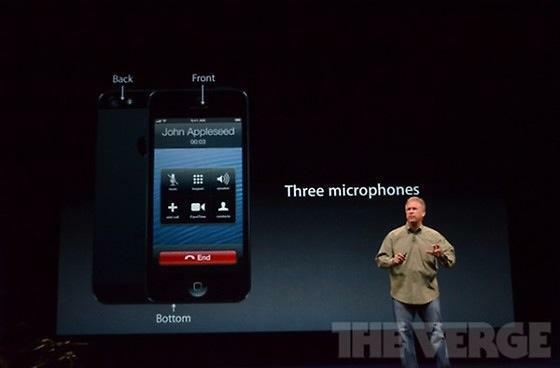 Siri also launches apps by voice. 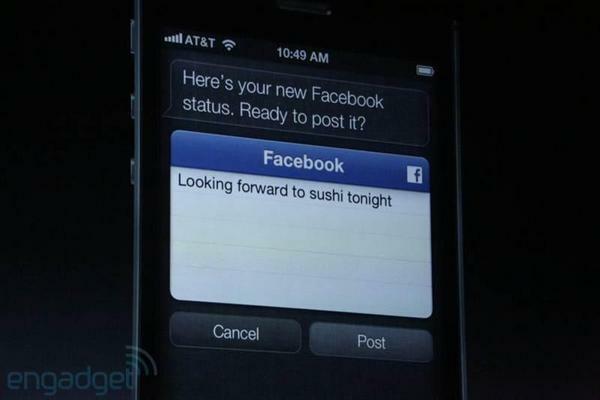 Facebook likes integrated into new iOS stores. 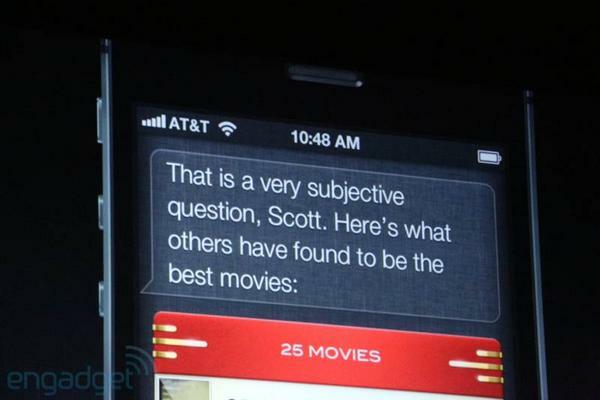 Forstall to Siri: "Can you recommend a good movie in theaters" Siri says that's subjective, but pulls up ratings. 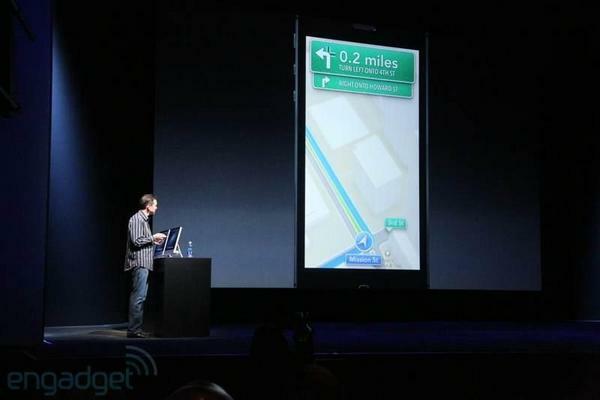 Siri can also find the nearest restaurant for you, and provide you with directions ! 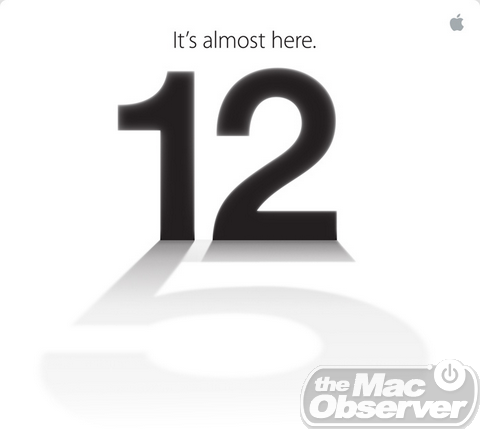 Pre-orders start Friday, September 14, 2012. 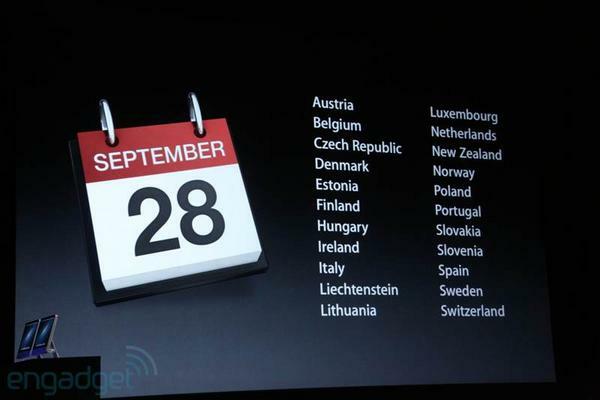 Shipping/delivery starts 1 week later, Friday, September 21, 2012.
iOS 6 update out Wednesday, September 19, 2012. Available in 63 countries around the world. 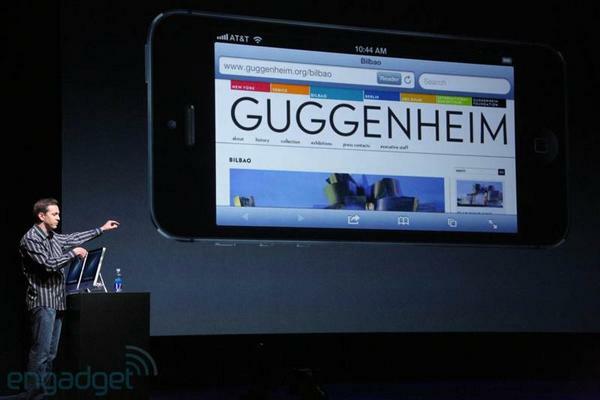 "More than 2/3rds of our downloads come from iOS devices"
Mini-player is revamped, as well. Shuttle controls appear when you float over (intent-based design). Search now in mini-player, too. You can play immediately or use "+" to add to queue. 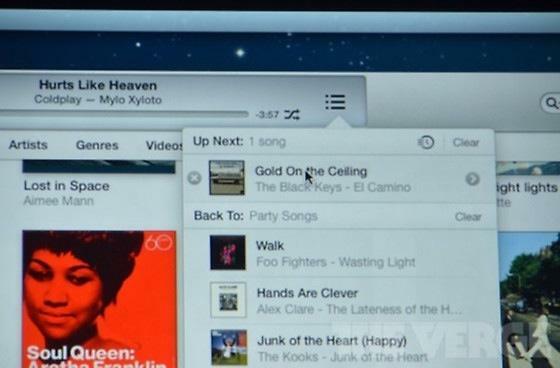 iTunes now lives edge-to-edge of the window it's in. You can see contents of playlist *and* library simultaneously when adding to playlists. "That's fantastic." Song previews keep playing even if you leave the page and go to another place in the store. New Feature "Up Next" - Lets you see what your queue looks like, and you can rearrange, etc. 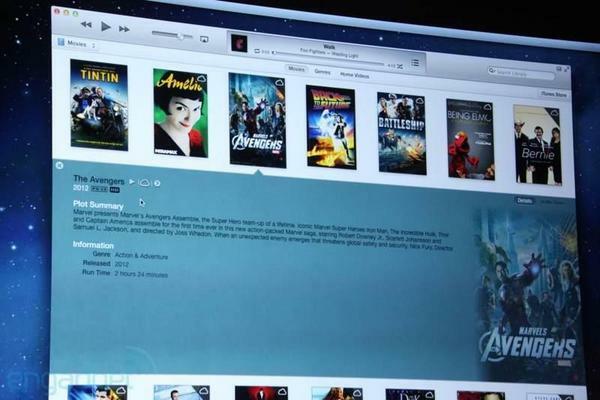 Movie progress syncs with iCloud amongst your devices. 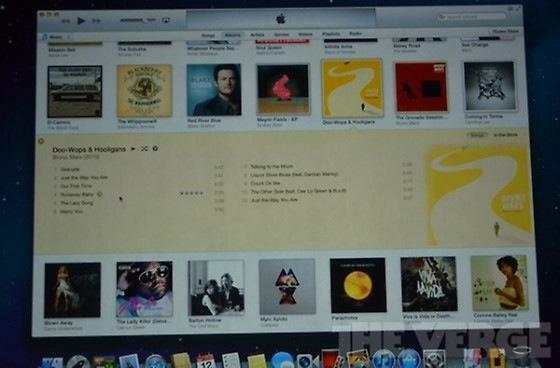 iTunes integrated with iCloud. 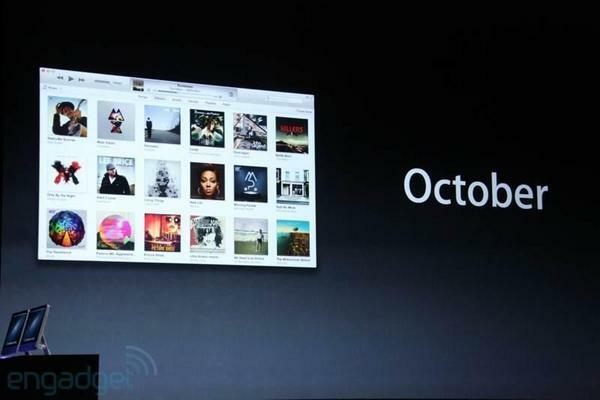 New iTunes will be available in "Late October" according to Cue. 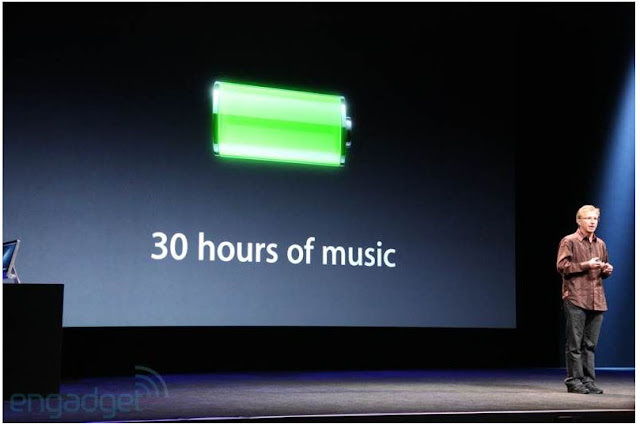 Nano battery life is 30 hours of music. 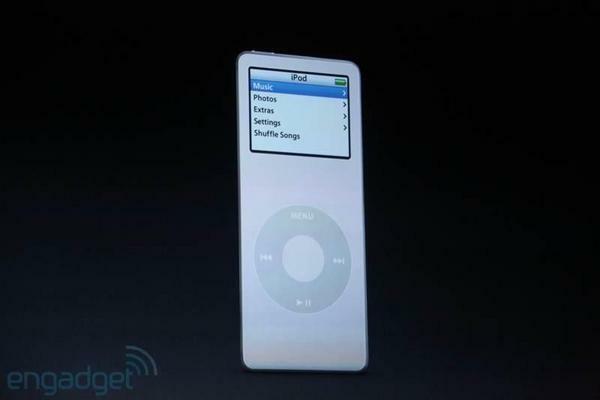 Bluetooth available in nano. Video is in widescreen, uses full screen resolution. 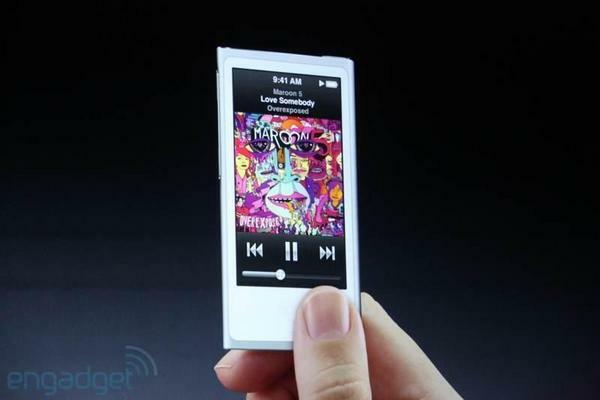 iSight in iPod nano ! 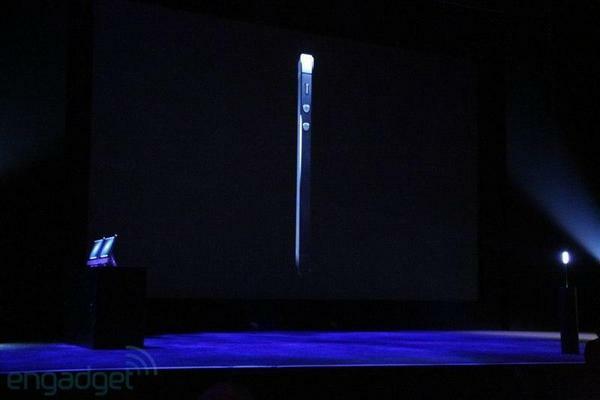 Features to look at: Really large display. Easy-to-use controls. Thin. Light. 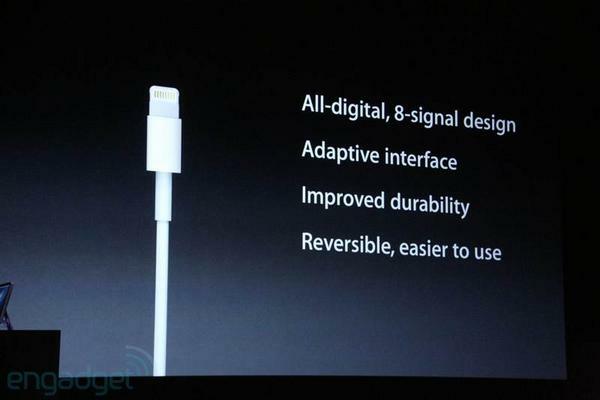 Lightning connector. 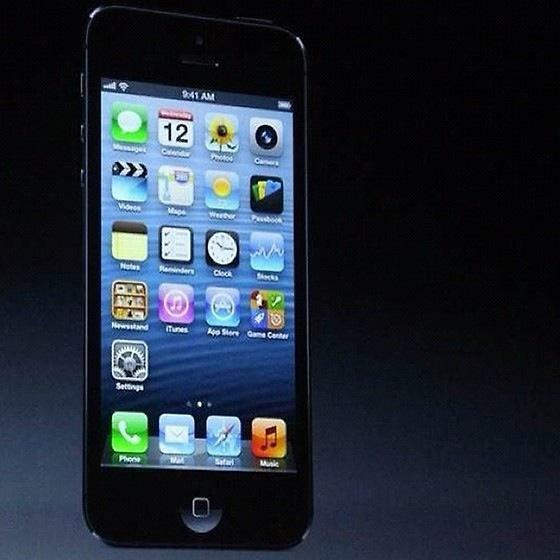 iPod touch 5th gen has same 4" retina display that iPhone 5 has. Thorsten Wild from Natural Motion Games up to talk faster graphics on iPod touch. 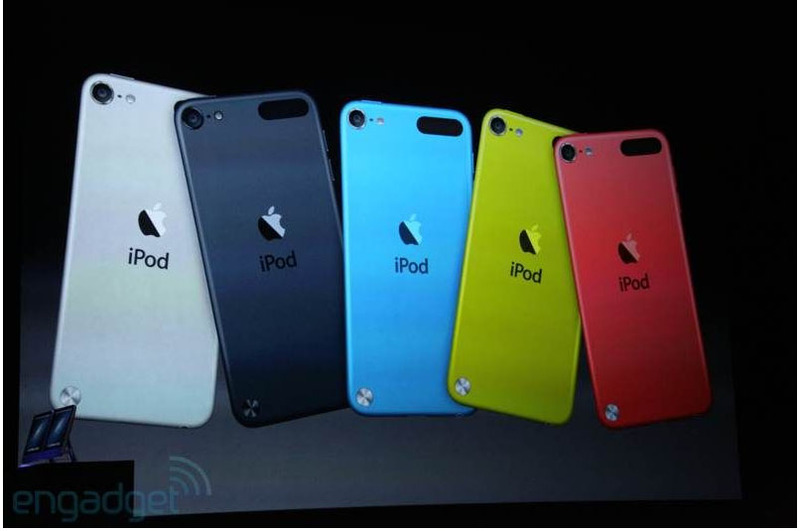 iPod touch now has A5, "which means 40 hours of MUSIC :D"
iPod Touch gets a significant upgrade when we talk iSight, it's 5MP camera people ! 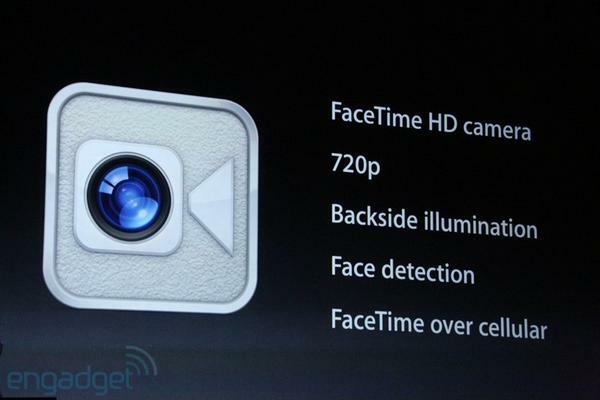 with front camera which is 720p FaceTime camera. 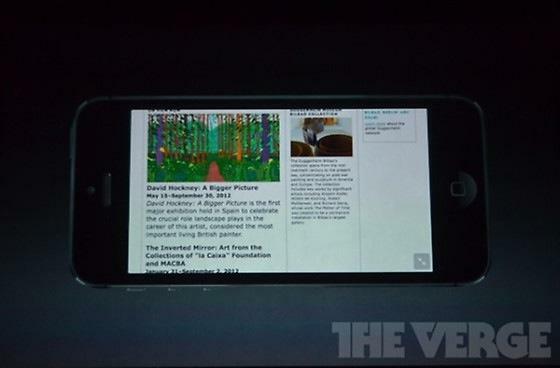 Also has Panorama features. 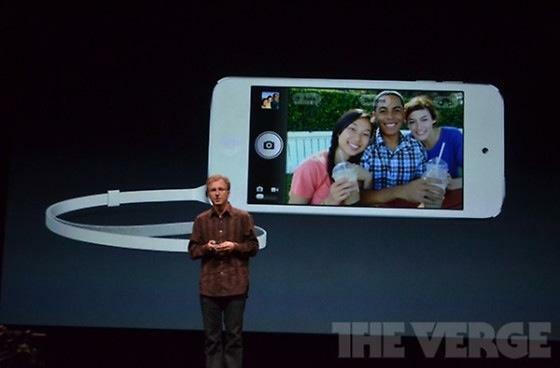 iPhoto will run on iPod touch for photo editing. And it has Shared Photo Stream. iPod touch loop comes with the iPod, allows you to attach a wrist strap (included) with the iPod touch. 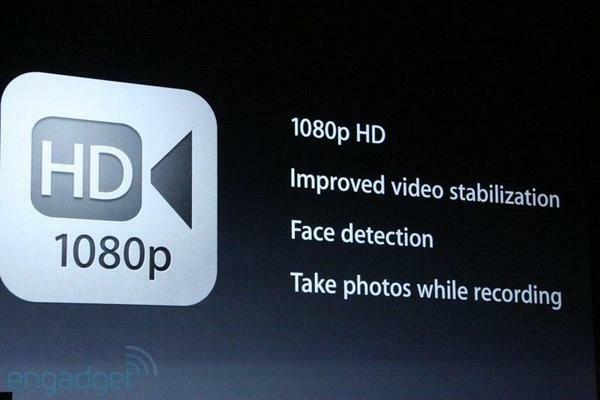 Video is now 1080p, and iMovie works on the device. 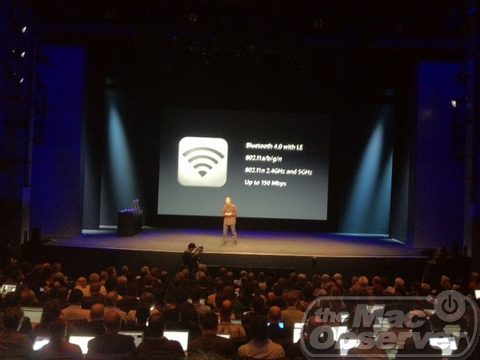 AirPlay mirroring also now available in iPod touch 5th gen. iPod Touch 5th generation gets Siri ! And a dual-band networking. iPod touch comes in colors: White, black, green, blue, red. 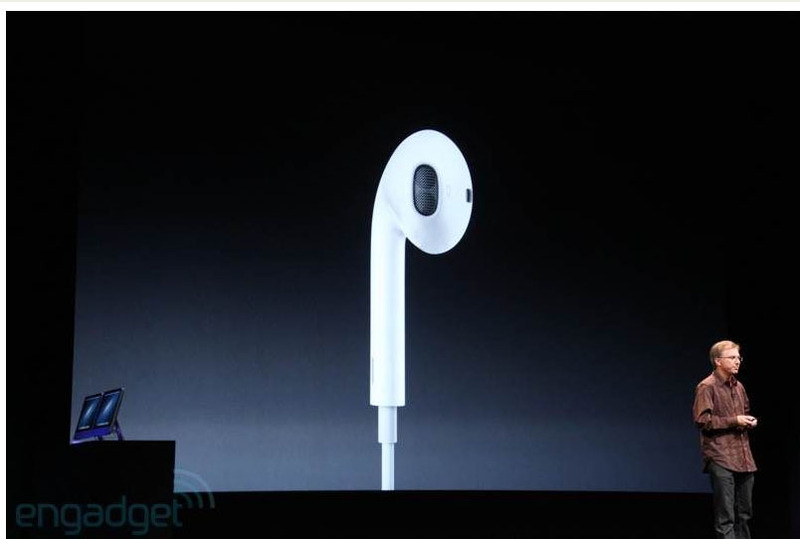 EarPods will ship as a standalone accessory starting today. Apple has shipped over 600 million sets of headphones. Review. 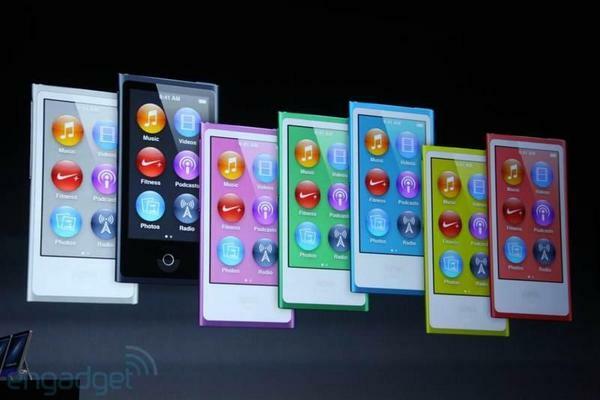 iPod shuffle 2GB $49, nano 16GB $149, iPod touch 4th gen 16GB $199, 32GB $249, iPod touch 5th gen 32GB $299, 64GB $399. Finally, at the end of the event they've got a music artist coming up "Foo Fighters!" I hope I didn't forget to cover anything ! YouTube App is gone from iOS 6 for good !